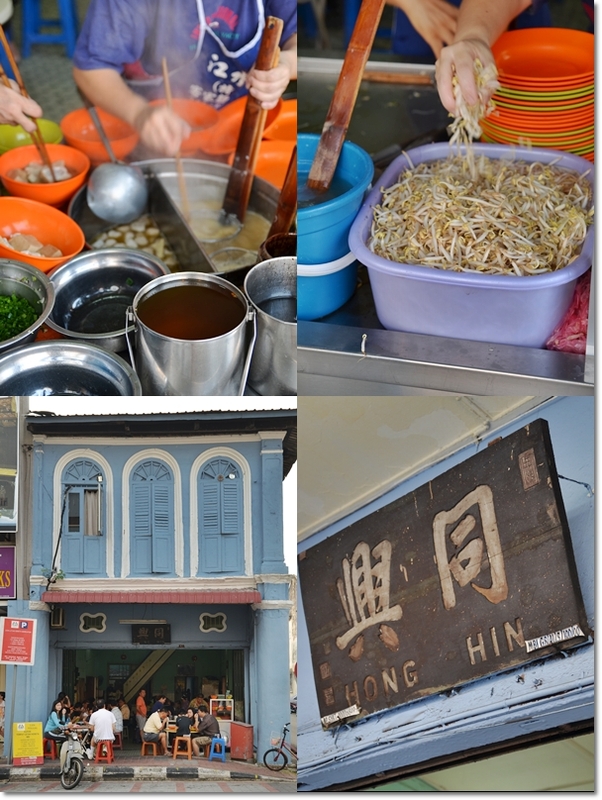 Not the traditional Hakka Mee @ Hong Hin in Ipoh’s old town; without the unmistakably lardy taste and minced meat gravy. I figure that since I started the ball rolling on Hakka food, might as well continue the flow with this almost unheard of (if you’re not a local), yet tremendously famous Hakka mee stall in old town of Ipoh. How popular is this? Let’s put it this way; come for a late breakfast (about 11am) and you risk having to eat whatever leftovers they still have. 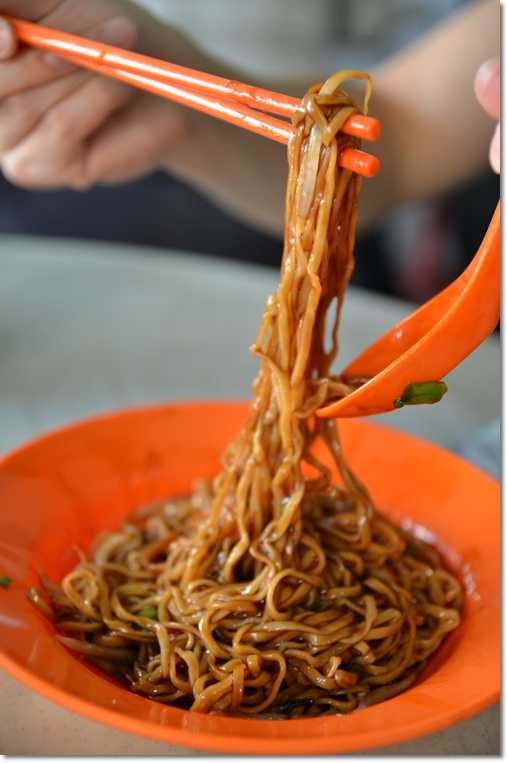 We were there on a Saturday morning, and the Hakka mee ran out at 8.45am!! WHO WAKES UP AT 8AM ON A SATURDAY?!!!!! But of course, you can still choose to have the yellow mee, rice vermicelli noodles (bee hoon) etc. But doesn’t that just defeat the purpose of going 100% Hakka? Read the full review, then see if this place holds any special place in your heart; being there for a good many years now …. The lady boss (she must be, for she exuded that aura of one) deep in action ….. almost like a family business this one. Like programmed clockwork, they had close to zero leisure time to chat. This trip back to Ipoh must have been themed as such. Had we another day more than the packed weekend, we would have gone all out and cover the famous Hakka mee in town (previously at Yin Yau Kui, but moved to the opposite side of Hugh Low Street named Paris Restaurant; for more information jump HERE) and another stall on Jalan Pasir Putih. Pity there’s no dedicated Ho Boh eateries in Ipoh aside from the one I wrote about in Kanthan Baru, Chemor. The very blue hues of the facade gave the inconspicuous location away. They do not have a huge signboard, as you can see from the bottom left picture. 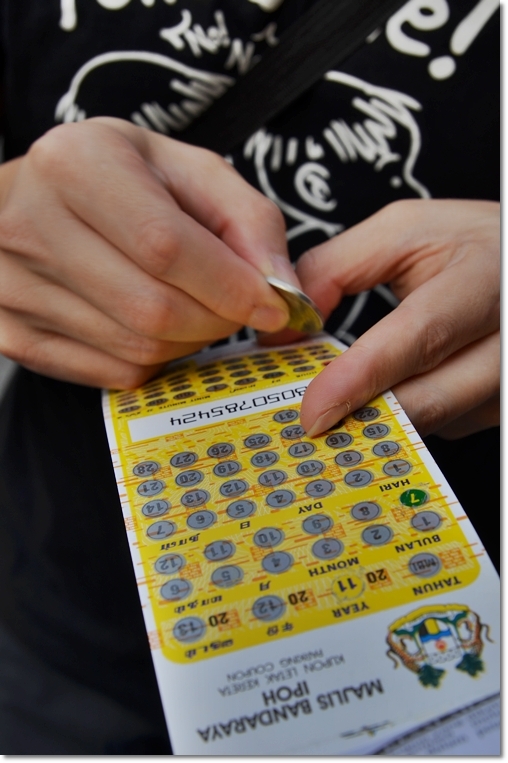 Hence you might need to squint for the old school Hong Hin signboard OR let your sense be led by the morning crowd. Persistent on finally paying this place a visit, I woke up DAMN early on that Saturday morning. Okay …. in comparison to the usual Saturdays, of course. I resisted the urge to sleep in, and with the mind still dazzled and knees all wobbly, we set the course on a scavenging hunt for good food with the “makan” partner-in-crime. The readily stuffed beancurd (hence termed Yong Tau Foo) awaiting their boiling fate. Good thing was this was a SATURDAY, not a Sunday. Else we might risk losing some hair due to the futile search for vacant parking lot. Old town of Ipoh’s infamous for the congestion in the mornings; on all days. Thus it was a major advantage to be working in old town back in those days, when good hawker food and aromatic brew of white coffee were just within a stone’s throw away. Though highly commendable for being served in a reasonably sufficient portion, with crunchy blanched bean sprouts (IPOH’s bean sprouts, okay?) 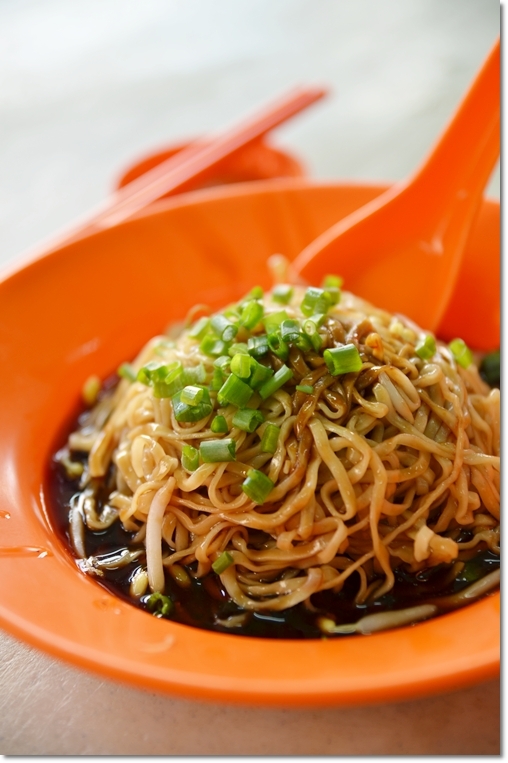 and chopped spring onion, the lack of savoury minced meat gravy usually complementing Hakka mee was felt. Lucky to be able to grab a seat, although the breakfast crowd was already piling up like crazy. And this was barely 8.30am! Not much choice when it comes to food, hence do not push their buttons by asking for weird combinations, ie : dry curry, curry laksa, chili pan mee, chicken kuey teow, etc. They do not even have the most varied selection of stuffed fish paste (yong liew), hence better to let them mix and match for you. We ordered a portion each of Hakka mee and a bowl of ‘liew’ in a manner not unlike the Japanese style of omakase; where the chef makes the decision for you. 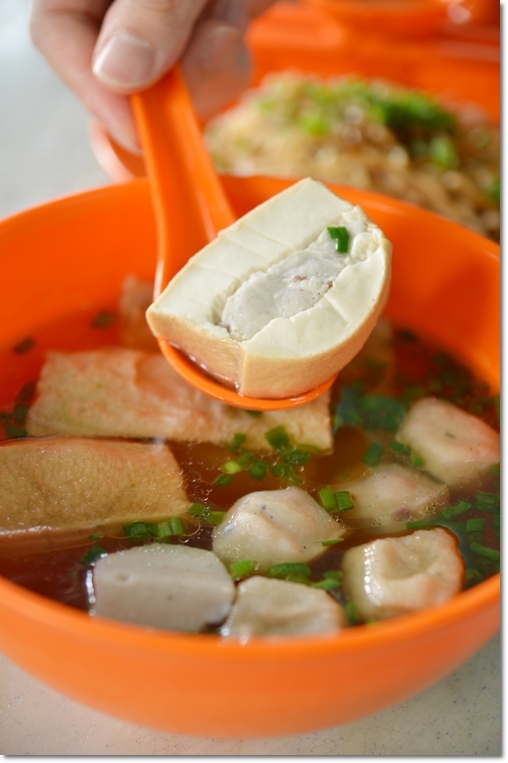 Delicious fish balls, stuffed beancurd and foo chook/foo pei (beancurd sheets) in a peppery soup. 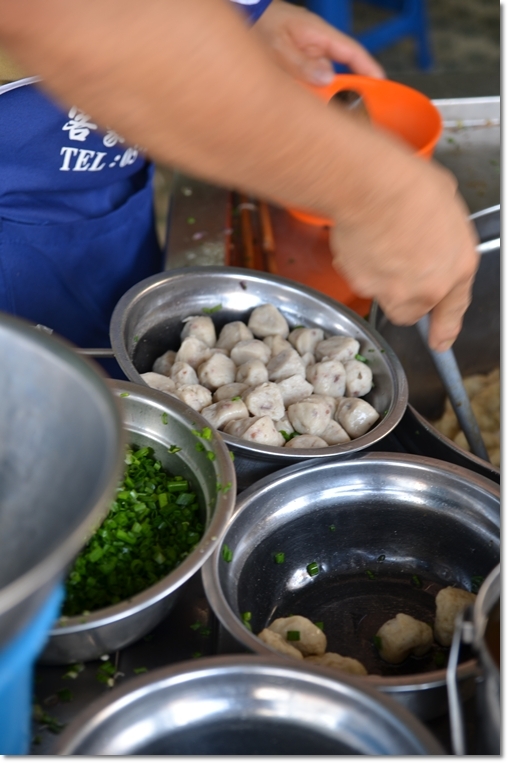 The irregular shape of the fish balls with a robust hint of dried cuttlefish proved that this was very much homemade; rather than purchased from the nearest market. Priced from RM0.30 (!!) onwards for the sides, you would have a tough time replicating this experience in the KL. The piquant garlic chili sauce was the designated condiment for the noodles (just pour a plateful of those into yours, and you’ll see) and the stuffed ingredients. 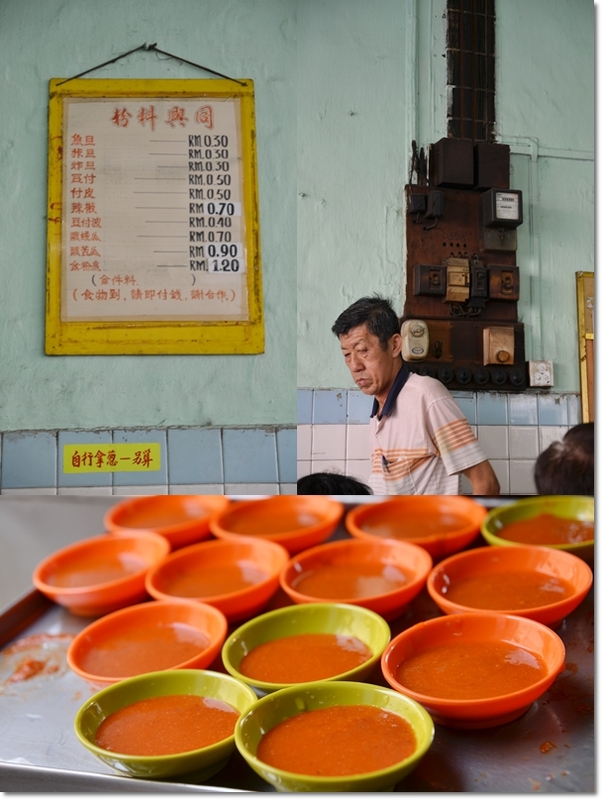 Though I was not impressed by the Hakka mee on its own, the fish balls in particular were really worthy of the visit. Small bites of punchy flavours with a springy texture, it’s hard to find good old fish balls like these anymore nowadays. The stuffed beancurd was passable, though I had doubts about the quality of the beancurd used. Yes the beancurd was smooth; in almost perfectly shaped rectangular blocks, but inferior to what we were going to have in Chong Chew. But the soup though with floating spots of oil evident, was as flavoursome as it comes, and we felt no nagging thirst subsequent to the meal. Opens from early morning until early lunch. Best to go before 10am, since the noodles run out usually by then. was here was here i was here before. Hmm, maybe. That might be the case, but when you come on weekends. .. you’ll see that the crowd consists mainly of families, children, and none of those blue collared. Yeah … or maybe we did not search hard enough? Let’s try. 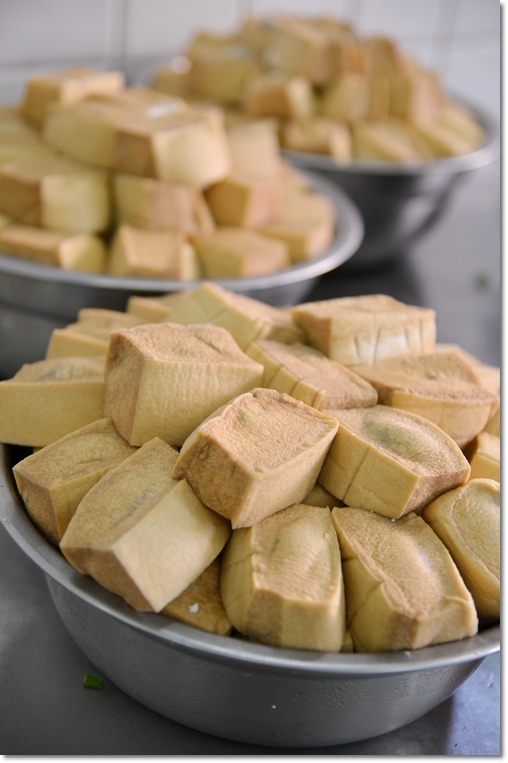 it is hard to find such foo pei, bean curd and fish ball here in PJ. I used to eat such as bfast. Now miss a lot. 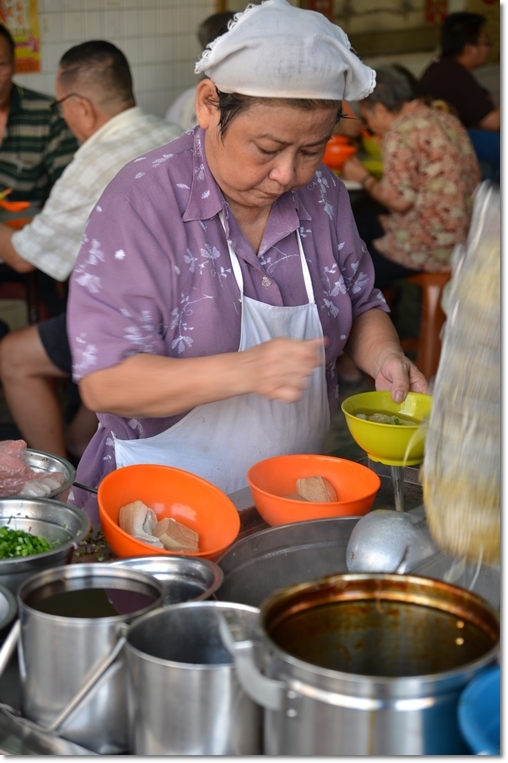 Fish ball noodles, or liew fun, or yue dan fun is not that famous here. Probably not many stalls serve good ones here in KL. you should give Tong kee a try.. if you like stuffed taufu, chilli, foo pei, fish ball etc… and their noodles is excellent too.. its behind this restaurant, 2 doors down from Ah Chow, opposite Hoong Tow..